Setting budgets. Researching venues. Reviewing vendor quotes and contracts. Creating your dream wedding is complex work, and can often take couples by surprise. At Color Pop Events, we embrace coordination (it's our calling), and relish helping you breathe and enjoy your perfect day. After all, a wedding is about celebrating your union and gathering together everyone you love. We make that possible, with so much less of the usual stress. The perfect wedding feels effortless. But behind that cool façade are months of legwork, reams of spreadsheets, and one clever planner that makes damn sure nothing on earth would or could go wrong. With a Color Pop wedding, it’s all about freeing you from event planning stress—and enjoying every moment of your big day. Your unforgettable wedding day calls for professional preparation and expert execution. That's why you hire us. An attorney-turned-wedding- planner, Color Pop Events founder Leah Weinberg was born to troubleshoot, anticipate issues, and eliminate them one by one. 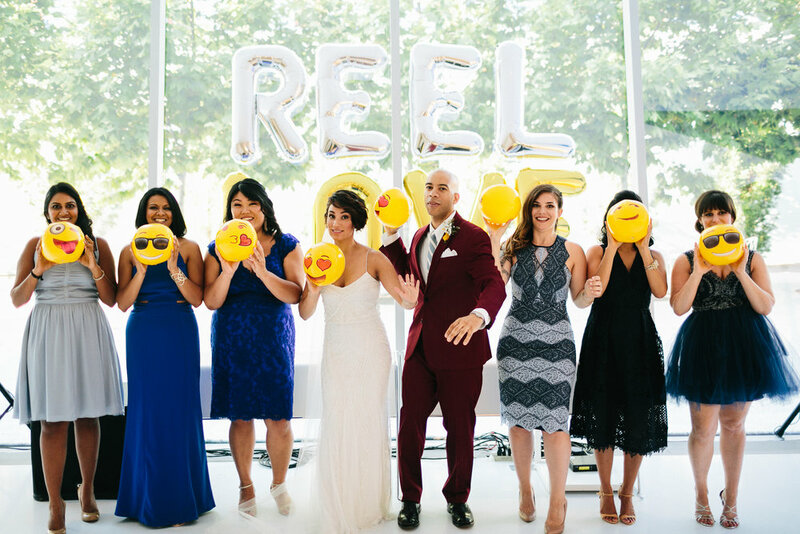 Leah launched Color Pop Events to bring her eye for detail and flawless event execution to couples in and around New York City. She turns the overwhelming into the easy, and does it with a smile, serenity, and spirit that couples find wonderfully refreshing and contagious. Color Pop Events brings dream weddings to life. Your day can be sophisticated but still memorable and fun. True to our name, we help you find that elusive, signature element that adds an essential “pop” of personality, making your wedding undeniably, unforgettably yours. It worked for these couples! Have a look at some of our favorite shots from weddings we've planned in the past. Want to see more love notes for Color Pop Events? Pop over here to read more! Color Pop Events services all of NYC from Brooklyn to Queens and even NJ. Color Pop Events has worked with some of the world's top wedding vendors and venues to create incredible weddings. But more than just a beautiful event, is a day that perfectly reflects your own unique love and character! We believe that any wedding big or small needs to have your personality woven through the day. Sometimes it can be grand and elaborate and other times it can be small, subtle, and creative but get ready to smile and know that your dream wedding is going to come to life.